The problem happens when we start thinking poor. 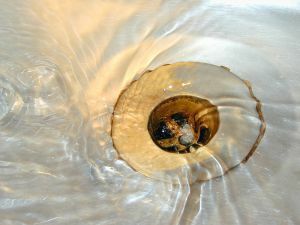 Is Thinking Poor Managing Your Business Down the Drain? Whenever an unexpected life event, the economy, or kismet puts a hitch in our giddyup, it’s a natural response to question how we got where we are. Panic or just sheer exhausted frustration can lead us to believe our thinking was wrong from the start, that it’s time to change direction and save what we’ve got before we lose it all. We’ve seen plenty of examples of ways businesses think poor. Thinking poor is a reaction based in fear and weakness. Great businesses work from strength, strategy, and commitment. We evaluate where we are, what got us here, and how we might adapt to keep moving forward. To do that we go back to the original strategy and check every premise to see which are still vibrant and which no longer work in the new environment. Here are some questions to help you do that. Which parts of our old strategy still truly brings us closer to our customers? Which parts no longer work in the current market? Which are our most robust markets? Who are our most reachable customers? How can we celebrate them and make them heroes? What do those customers value about our products? How can we find out what they wish we would leave out of our offer? How can we invite them to help make our business stronger? What small, high-value enticements might we add to our current offer that would get new customers to try us and entice old customers to try us again? How might we repackage what we’ve offered before so that it becomes a new and vibrant offer for a market of customers that has already shown interest in what we are doing? How can we invest more in skills, services, and learning how to get closer to what our customers want? Each of these questions is centered in becoming more intimate with the people, the customers, who grow our business. Delivering service, product, and value to customers by listening to those who are nearest to us is the fastest way to grow a thriving, stable business. What are you going to do today to start growing your business? Thank for a great reminder. Even though I do not own a business. I own myself. I am my own little business. I can see how these tips could help me run my life better to provide more value to others. For example: I could smile more; I could stop transferring negative energy onto others when I feel bad, etc. I agree that thinking poor is a dangerous trap. Most businesses exist because of they customers, yet when times get rough, they start acting as if they exist for they own selfish reasons and do all of the things that you mentioned. Seems that just like many things in life, re framing can do magic. Let me know how it works for you! You’re not a stranger anymore. Great set of questions to keep re-visiting. It’s all about people. This reminded me that I need to get out in front of people. Literally. The new media tools have expanded our reach and helped us listen more, but still don’t replace face-to-face human relationships. Thank you, Tim for saying what I woke up this morning thinking. Thank you for posting this blog, Liz, and Tim for his commment! I may not own my business, but these tips are extremely helpful in keeping the company I currently work for in line. I think we have gotten away from the right way to deal with our customers, and rely more on being with them “virtually”. Picking up the phone or meeting in person with people may help strengthen our relationships with them, and convince them to come back for repeat business. Thanks for posting this Liz! I may not own my own company, but your tips above are extremely helpful. We have definitely gone away from face to face meetings to virtual meetings, and I feel like we have lost contact with our customers. Reaching out to them in person instead of virtually will probably increase our customer relations and keep them coming back. I keep trying to detect the days when I’m all about shooting myself in the foot, but they still happen. Working for yourself can be a manic depressive cycle, some days you have it and some days you don’t. Overall I’m seeing progress and looking back at how I started I wonder how I thought that could possibly work at all. Probably that’s why I started in that way, I didn’t expect it to work. This is the first time I’ve been able to see through the tunnel to what’s possible, and recently I set myself a new goal, to make $300,000 in the coming year. Most of the time that seems silly but not always. I could do that! If I get that attitude more often I expect that I will do that. Thank you for keeping the fire alive! “Enterpreneurship is investment of assets of the enterpreneur and permanent economical action aimed to PROFIT MAKING” – I have learned from enterpreneutship text books. Never a word about a VALUE. I think this is where we fall. This is poor thinking in enterprenuership.